For the 2nd race in the Formula One 2018 season, RAVENOL’s Technical Partner Force India will head to the sands of Sakhir for the Bahrain Grand Prix, a circuit they traditionally do well at. Held at the Bahrain International Circuit, it is one of the most challenging races on the calendar due to its desert location. The practice sessions are held during the day under the scorching sun, whereas qualifying and the race are held in the evening. The heat lingers as the sun starts to sink into the sands, but as night falls and the track lights come on temperatures can drop sharply, causing a headache for race engineers with tyre choices. Driver hydration is also a factor affecting performance. That said, Bahrain is wide enough for overtaking, with key areas to watch being turns one and four. The mix of fast straights and tight corners don’t favour any one car and make it enjoyable for drivers and spectators alike. 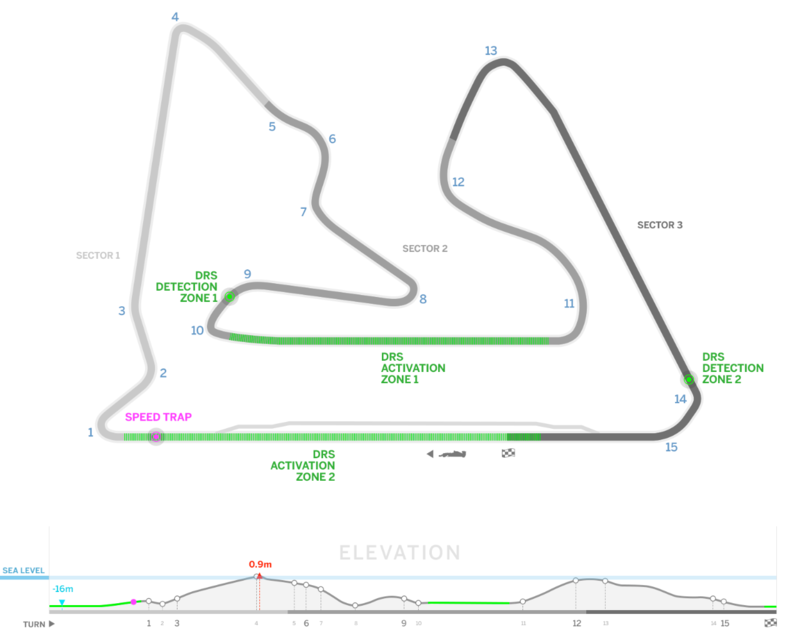 This year there is an extra twist as the FIA has altered the DRS zone on the start/finish straight, moving the start of the zone 100 metres closer to the exit of the final corner to extend the amount of time drivers can use it. This should lead to extra overtaking in this long, high speed part of the circuit. Last year both Force India drivers finished in points positions, with Sergio finishing 7th and Esteban rounding them up in 10th. With various tweaks to the cars following the opening race in Melbourne, we’re expecting a strong finish again for the Force India duo.